The Vocational Expert (VE) may provide professional evaluations, testimony and opinions regarding the vocational aspects of a case. Once these evaluations have been completed, the VE determines what a party "should" or "could" earn. The court is then asked to hold the individual to that earning capacity, imputed income. A VE may provide a vocational evaluation (also can be known as an employability or spousal rehabilitation assessment). A VE will determine the highest level of vocational functioning of the spouse, and what their ability to make a financial contribution, (if needed) as well as the need for further training or education. These questions often arise during a divorce action or may be revisited post-divorce due to a change in circumstances. A vocational evaluation may be requested for, or by, either party to identify careers compatible with that individual's training, skills, experience, and education. Do You Need a VOCATIONAL EVALUATION? Who Requests A VOCATIONAL EVALUATION? The attorney or either spouse, depending on the circumstances, may request a vocational evaluation. In some states it is common for the judge to order a vocational evaluation if a question exists regarding either party's income potential or capacity for employment. When an attorney retains a Vocational Expert or one of the spouses to conduct a vocational evaluation is the beginning of the vocational assessment process. Primary: Current and former employment history - dates, locations, employers' name, job titles, requirements, wage rates, job descriptions. Primary: Medical and psychological problems or restrictions - dates, related pain or discomfort. This information may be analyzed relative to the individual's ability to engage in the physical, mental, or social aspects of employment. Ability to engage in non-physical activities (concentration, memory, social interaction, family interaction, public interaction, following instructions, other thinking skills). Educational and training history - dates, locations, degrees, certifications, licenses. Former and current hobbies, sports, interests, social activities. Future goals and plans - career, education, employment. Financial documents, tax filings, personnel files, educational documents, and other relevant background information may be requested or provided to the expert. For most evaluations the VE will want to interview the individual in person or video chat. Often prior to the interview a VE may send a questionnaire covering such topics as work history, educational background, and daily living activities. After a review of this documentation, the interview and remaining steps in the evaluation take place. Vocational testing may be conducted to determine aptitude, vocational interests, etc. After testing the expert will interpret the data and provide a vocational analysis addressing career options, job market information, and recommended actions. Job search strategies and sample employment opportunities may also be assessed. At this point the expert will likely discuss his or her opinions with the retaining attorney; a written report can be provided if requested. Further consultation and expert witness testimony can also be provided. Each Vocational Evaluation is different to match the venue and to meet the needs of the individual case requirements, ranging from a single-session vocational interview to a multi-session assessment. In summary, a vocational expert can be invaluable in divorce/family law cases concerning earning capacity, employment capacity, or vocational potential issues. 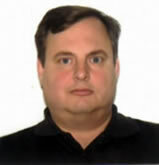 Allan Billehus, CLC, CRC, is an experienced Forensic Vocational Rehabilitation Counselor. He has been a Certified Rehabilitation Counselor (CRC) since 1996 and a Licensed Professional Counselor in the state of Georgia since 1999.